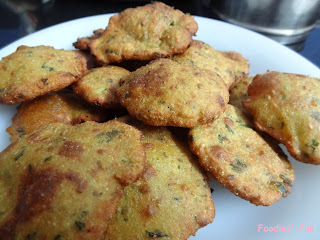 Bajra wadi is one of the famous Gujarati snack prepared at home. I learnt this from my granny who often makes this tasty and quick to cook snack. She has it fondly with her morning and evening tea. It is delicious and can be easily made. It is also an ideal snack for picnics. You can have it hot or cold with tea or pickle or just alone but anyhow it will taste yummy. Take a wide bowl in which you can knead dough. 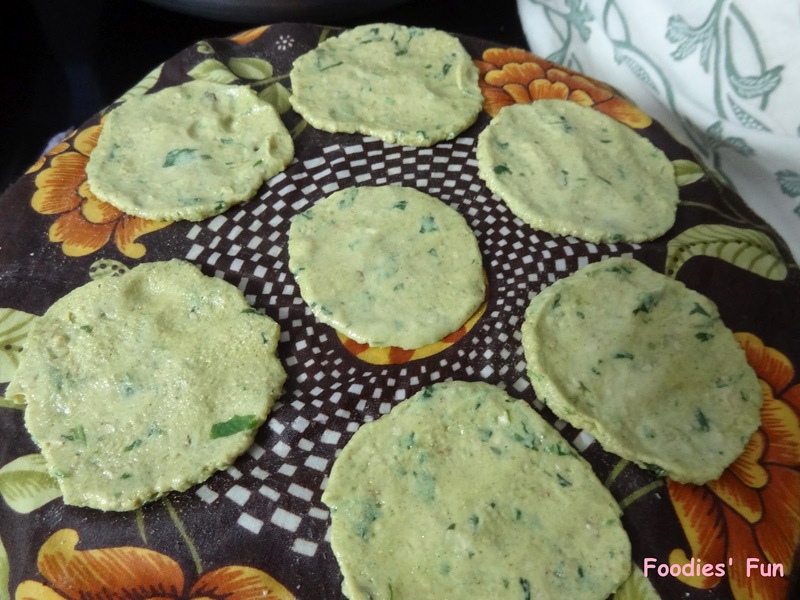 Put bajra aatta and dokhla aatta in it. 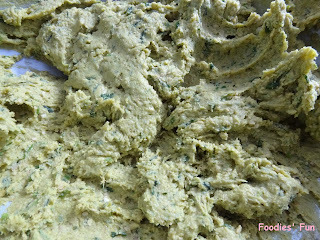 Add sesame seeds, salt, sugar, chopped coriander leaves, about 1 tbl spn of oil and ginger-chilli-garlic paste. Mix them all well. Pour buttermilk to it. Keep on adding buttermilk little by little till you get pliable dough. Just keep the dough a little loose and soft. Meanwhile pour oil in a kadai and let it heat. Now make wadi. On patla put a wet cloth so that wadi does not stick to the patla. 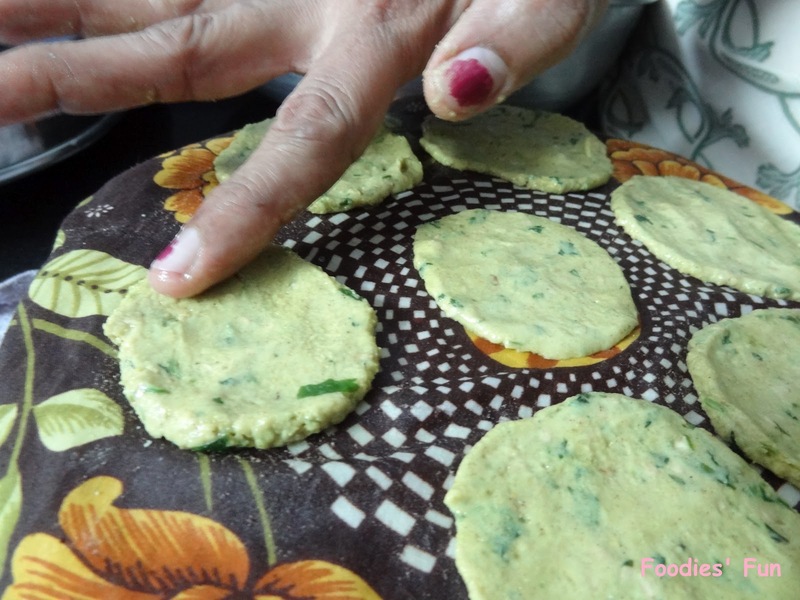 Take small chunk of dough and with the help of fingers slowly pat dough to give circular shaped wadi. Dip your fingers in water and then pat wadi so that you can easily give circular shape. Slowly remove the wadi from patla and put them in kadai for frying. Deep fry both the sides of wadi till it turns dark golden brown. Put it on absorbent paper to soak extra oil. Keep it aside. As it cools down a bit, serve it with tea, some pickle or have it alone. I had it alone all by itself and it does taste good.